The legendary "Cape of Storms" which wrecked many ships en route to the east, known today as Cape Agulhas, is situated in the Agulhas National Park in South Africa at the southern tip of the African continent. The nearest airport to Cape Agulhas and the Agulhas National Park is at Cape Town, a distance of approximately 230km. Flying to Cape Town and travelling by car from there would probably be the quickest and most convenient way of getting to the Park. From Cape Town you follow the N2 to Caledon a distance of about 100km. At Caledon you turn right, taking the R316 via the town of Napier to Bredasdorp, which is another 100km. 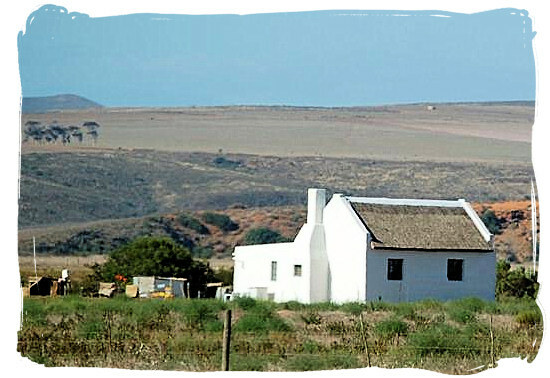 From Bredasdorp it is a 30km drive through the village of Struisbaai to the town of L'Agulhas. Struisbaai and L'Agulhas share a common boundary. The N2 highway is excellent with a speed limit of 120km/hr. From Caledon the national roads are good with two lanes and a speed limit of 100km/h. All in all it shouldn't take you more then 2 hours and 30 minutes to get from Cape town to Cape Agulhas.